This lovely baby girl's mid-length white cotton blend christening gown is made by Feltman Brothers. It features tiny pintucks on the bodice with a double row of soft baby lace centered with entredeux at the neckline and short puffed sleeves with soft baby lace trim. Beautiful embroidery and lace insertion tops the deep 3½" hem. 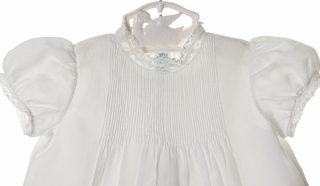 The gown closes in the back with 2 small buttons centering double rows of tiny pintucks. 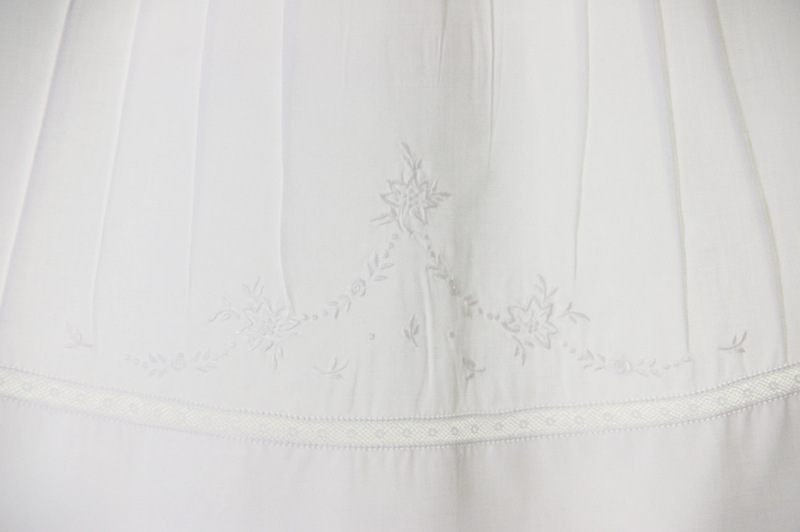 A matching embroidered scalloped hem slip is included. 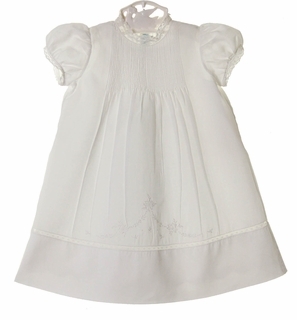 A darling heirloom style christening gown for your baby girl!